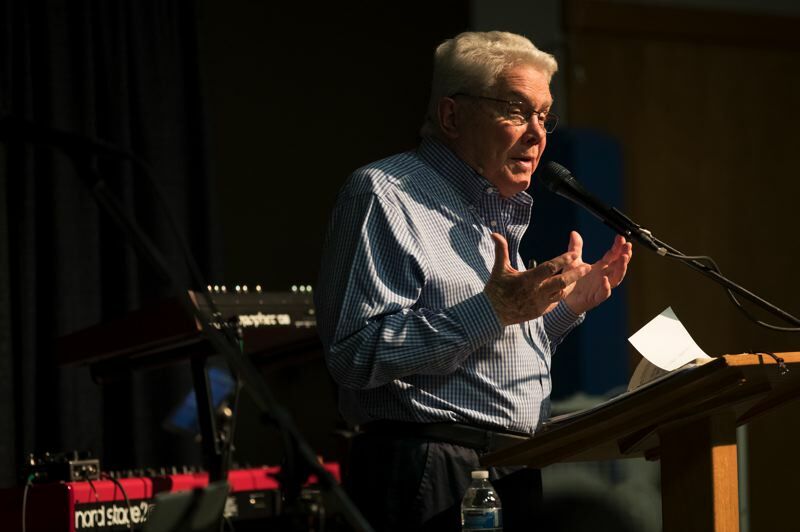 Beaverton-area evangelist says his stage-4 lung cancer has stabilized for now. 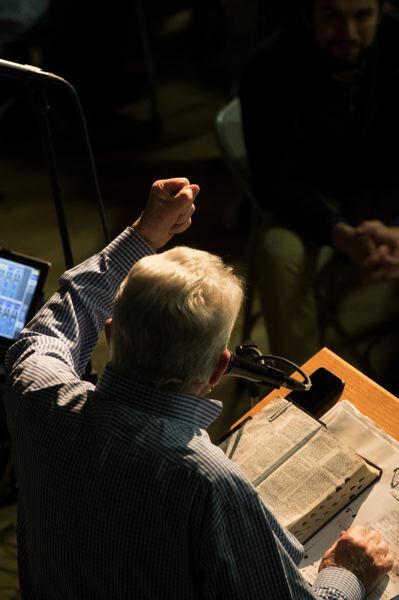 International Christian evangelist Luis Palau got some good news early this month – his stage four lung cancer has stabilized. That's something the Bethany resident was more than happy to hear, considering that in January he was told he might not make it through the year. He has subsequently credited prayer, chemotherapy and his response to immunotherapy for adding both to his well-being and adding precious days to his life. And for more than an hour Tuesday night, an energized Palau addressed a crowd of more than 500 men who had jammed into the gym at Southwest Bible Church for a men's night of evangelization with his down-to-earth, self-deprecating style, addressing such issues as the temptations faced by men, the trials of the Biblical Joseph described in Genesis and urging all those gathered to come and follow Jesus. "Temptation makes life exciting but also dangerous," said Palau, who has lived in the Beaverton area since the early 1960s. Over the years it's been estimated that more than a billion people have listened to the Argentine-born minister. A 2015 New York Times article referred to the bilingual Palau as a "Hispanic Billy Graham." Before he left the podium Tuesday, Palau, whose home base is Cedar Mill Bible Church, reminded those in attendance that God has a plan for them. The evangelist who has been heavily influenced by the preaching and ministry of the late Rev. Billy Graham, also asked those gathered to pray for a man at the gathering who was suffering from a brain tumor. 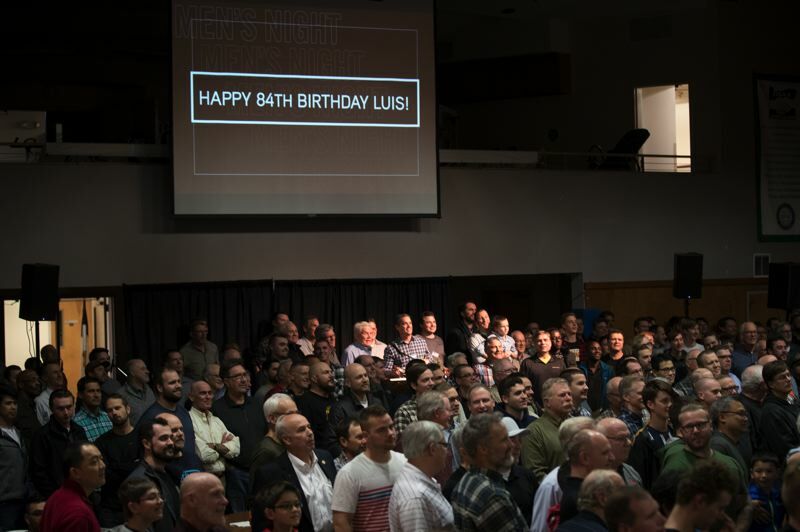 And he didn't escape the evening without Southwest Bible Church leaders pointing out that Tuesday was Palau's 84th birthday, whereupon he was presented with two cakes and a round of "Happy Birthday" to celebrate. Palau also talked about heaven. "I'm going there in a few weeks or months," he said. "I'll meet you there." Scott Gilchrist, the senior pastor at Southwest Bible Church, said he's been impressed how Palau seemed so much stronger than he did even several months ago and was pleased he was able to have him as a guest at men's night. "I'm so thankful for Luis and I'm thankful his life is extended," said Gilchrist. After his talk, Palau briefly discussed his prognosis. "The last CAT scan they said the tumor was holding steady," he said. "I said to the oncologist, 'Is that good news?' She said, 'That's very good news.'" The fact that he was in good health to begin with also has helped him with his battle with cancer, he said. He's pleased, too, that his voice is strong right now, noting that seven months ago, he felt like he was fading. "In April I said, 'This can't go on,'" he recalled. He said his wife has asked, "Why can't we go together?' And I said, 'Maybe we will.'" "It's a very interesting experience because my whole life I've spoken about death," he said. Now, he said when the time comes, "I'm ready because of Jesus Christ." But with one foot still placed firmly in this world, Palau quipped that he'd still like to try the roast beef sandwich that he's heard so much about at a neighborhood restaurant down the street from him.